The Home and the World by Rabindranath Tagore PDF - GOOGLE BOOK Free eBooks for Life! The Home And The World is a Bengali novel written during the time of Bengal partition in 1905. The story revolves around three main characters, Nikhilesh, Bimala and Sandip. The story is told from Nikhilesh’s viewpoint. Nikhilesh is young, educated and liberal minded. Bimala is his wife. She is sensitive, educated and humble and she loves Nikhilesh immensely. Sandip is Nikhilesh’s friend and is living in their house. He is a skilled orator and is very charismatic. Bimala gets caught up in a love triangle with the two men and can’t stop herself from getting attached to Sandip. The novel revolves around the Swadeshi Movement and the ideologies of religion and traditionalism versus modernism. While Sandip is a national movement activist, Nikhilesh is a zamindar. Both of them are complete opposites of each other and have contradicting ideologies. The novel showcases a conflict between the new age and the old age, idealism and realism, violence and nonviolence and good and evil. The Home And The World was first published in 1916. Many of the ideologies used in the novel are what Mahatma Gandhi followed during his fight against the British. The novel portrays the role of women at that time and Tagore captures the emotions associated with Bimala’s situation perfectly. 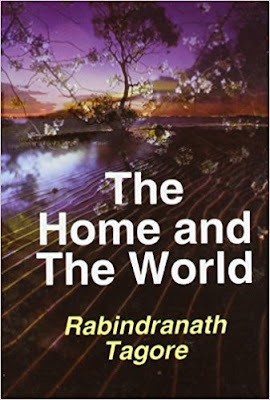 The Home And The World is considered to be an all-time classic and it accurately describes the culture and political scenario of that period in India’s history.